Why are you a college student-athlete prospect? 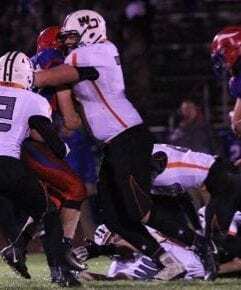 I am a sophomore at West Delaware High School in Manchester Iowa and I play OL/DL position on our varsity team this season at 6'6" 285 pounds. I attended the Iowa and Iowa state big mans football camp during the summer this year. I love the game and can't imagine doing anything different in my years ahead. I am also involved in wrestling and baseball which I varsity lettered in both of those sports as well as making it to state in wrestling individually. 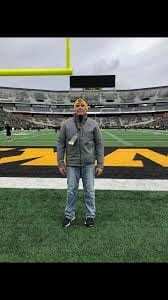 I also received 2nd team all district this year for DL and recently had a game day visit at the University of Iowa. 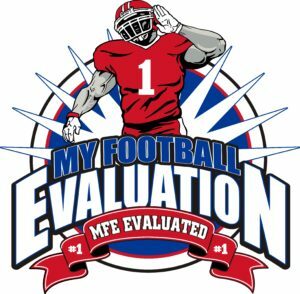 FBS Defensive Line: NG, DT’s & DE’s – Evaluation and profile will vary on Coach specifics of Front played! • Height: 6’3″ – 6’5” 40yd: 4.7 – 4.8 on Beam! • Height: 6’2″ – 6’4” 40yd: 4.8 – 4.9 on Beam! • Height: 6’3″ – 6’6” 40yd: 5.0 on Beam! • Height: 6’2″ – 6’5” 40yd: 5.2 on Beam! Coach Keys: * Physical Impact – Display the consistent dominance at the Point of Attack on the LOS. Coaches believe a year to develop possible a redshirt year, however skill set is present to play at high level. Displays the ability to establish a new LOS with movement on defender. / *Versatile Efficiency – Displays very good balance. Displays very good pad level and leverage with very good knee bend! Displays a very good wide base most of the time. Displays the ability to pass set with a very good kick set and slide and can mirror the DL with ease with very good feet. Long arms for punch and lock out or long frame to develop / *Ability in Space – Displays the ability to get to 2nd level and win in space with level change of hips and accelerating of feet most of the time / *Demonstrates High Level Ability – Multi-year starter, All Conference & All-District player with some National exposure. Carson displays High level physical profile, High level core strength, Adequate level athletic ability relating to movement and ability to redirect instinctively, and Adequate level ability to move on the edge or at 2nd level. Carson demonstrates High level proportioned frame with good length, Adequate level base with the ability to redirect and stay on balance, High level physicality at the point of attack, Adequate level hip flexibility, Adequate level knee bend, Adequate level pad level, High level explosive ability to generate power at the point of attack. Carson demonstrates High level functional display of strength, High level functional display of speed, High level ability to generate maximum power at the point of attack, High level establishing a solid inline power base, High level effort to play with leverage, High level ability to deliver a strike.